Apple introduced during the inaugural speech of the WWDC17 which will be its new product for this year: the HomePod. During the presentation, the company talked about some features of the device but really focused more on explaining what it will be able to do and did not go so far into technical details. Now, thanks to the filtered firmware, we can know some technical characteristics of the device and begin to get an idea of the hardware components that will make up the device. 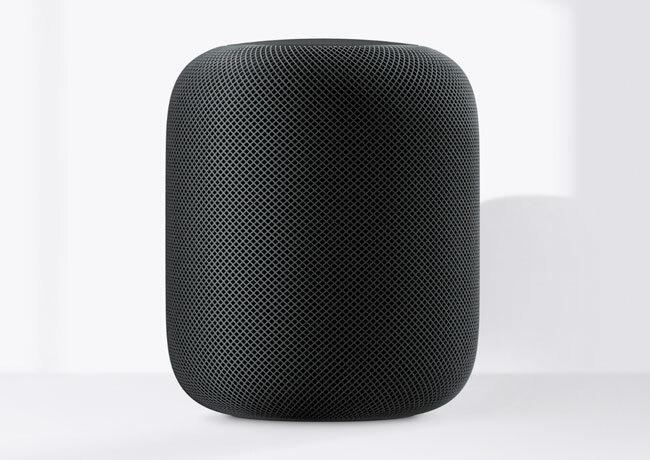 We knew that the HomePod will hit the market with a woofer designed exclusively by Apple, accompanied by seven tweeters (tweeters), plus six microphones with advanced echo cancellation and different sensors that allow you to focus the audio correctly to get the best possible audio quality. The brain of the device will be the A8 chip designed by Apple and, here begin the new discoveries, 1 GB of RAM. Perhaps the amount is not too flashy, but considering that it is a device that will be controlled by short voice commands will be more than enough. Another feature that has revealed the beta firmware of the device is that it will feature a 272 × 340-pixel screen at the top. This is the screen that we saw in the presentation videos and that showed different animations of Siri; As well as some basic touch controls. It really is not a screen as such, it is a set of LED lights capable of displaying those animations and small controls, but without the ability to display a complete user interface. Bearing in mind that the HomePod will not accept apps and will be controlled by voice, more than enough. The HomePod will not reach the market until the end of the year, so it will still take a long time to test its performance and know its performance, but of course, the hype is great and more after seeing the opinions of some specialized about their audio quality.